Sure, your average college freshman isn’t ready for Page 1. But having them work together through collective reporting can make it easier to get good work in front of a real audience, this journalism professor argues. By Adam Ragusea Jan. 6, 2015, 10 a.m.
Students can no more be expected to produce publishable journalism by themselves than caterpillars can be expected to fly. This fact should be a consolation to journalism educators such as myself — were it not true, we’d be out of the cocoon business. But a growing number of new or revamped journalism programs at colleges and universities are built around the notion that students will create work for professional news organizations. So-called “teaching hospital” programs — such as Mercer University’s Center for Collaborative Journalism, where I work — make a priority of funneling student reporting to partner publications. In our case, those publications cohabit the same facilities where the students go to class. But those of us who are actually operating on this model keep running up against the core problem I began with. Students, particularly freshmen and sophomores, just aren’t anywhere near ready to shoot with live ammo yet. That’s why they’re students. Real teaching hospitals rely on advanced graduate students — they have their undergraduate degrees and years of medical school under their belts before they ever get around patients. Once they start in the teaching hospital, it becomes virtually their sole focus in life for those few years. 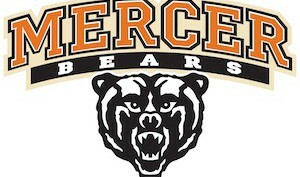 At Mercer, we have an undergraduate-only program. Our best students are talented and laser-focused on journalism, but even they have all of their other classes to worry about. We may be in a situation where a story needs four or five hours of additional work before it can go on the radio the next morning, and if the student reporter needs to get to statistics class or marching band practice, we’re out of luck. For all of these reasons, I have on many occasions so thoroughly re-reported and re-written a student piece for publication myself that the final product shared nothing but the most primordial DNA with the original. One could argue, as I often do, that there’s nothing wrong with that. The students learn a lot by seeing what I have to do to whip their stuff into shape, the publication still gets a story, and the public still gets to consume it. The downside, of course, is that it usually takes a lot more of my time to produce a story this way than if I had done it myself, soup to nuts. In a piece by a typical underclassman, only 20 or 30 percent of the material may be viable. That’s not a great batting average. However, as any sabremetrically-minded baseball GM will tell you, the game is not won or lost on the abilities of any individual player, but rather the collective abilities of the team. With that in mind, I’ve been experimenting with a technique that I call “collective reporting” — and if anyone has ideas for an alternative name that is free of unfortunate Soviet connotations, I’m all ears. At Mercer, I teach a class called Journalism and Media Boot Camp — basically our introductory class for students who are planning to major or minor in journalism. In the first week of class this past fall, I led a brainstorming exercise that was designed to help beginners distinguish story ideas from story topics (something that all editors know even professional reporters struggle with). As we discussed stories that could be reported on campus, a common thread emerged in many of the pitches: Mercer had experienced an enrollment boom that semester and didn’t have enough housing to accommodate all students who wanted dorm rooms, leading to reactions ranging from annoyance to resentment among a student body to which I officially cannot relate at all. Wasn’t everybody dying to live off-campus when you were in school? Rather than assign all 15 students to report their own pitches, I assigned everyone the same story. They all went out individually and interviewed students who had been affected by the housing shortage, and over the next several class periods, my lectures covered how to pull and write around quotes. We needed, of course, to get the official word from the university into the story. Rather than subject the dean of students to 15 distinct interviews, I invited him into class to be interviewed by us as a group, following my introductory lecture on interviewing. With all the necessary information now in hand, the students went about writing their own versions of the same story. Not surprisingly, only about 20 percent of what I got back was usable. But the best stuff from 15 so-so stories more than adds up to one really good story. Like a man assembling the perfect plate from a Chinese buffet, I picked and chose the choice bits until, maybe two or three hours later, the masterpiece was complete. The resulting article, “Mercer’s large freshman class creates on-campus housing crunch,” ran on the front page of The Telegraph newspaper of Macon, Georgia, one of our partner publications. All 15 students shared the byline, even if none of their work made it into the final copy. Community response, as you can see in the comments, was quite positive. Fox News contributor and RedState.com editor Erick Erickson, arguably Macon’s most famous resident at the moment, penned a column praising the student reporters, referring to them as potential “gold mines” of talent. The experience was not perfect. I learned after publication that one of the students we’d quoted — a senior who claimed to have been denied campus housing — in fact had been offered quasi-university housing a few steps off campus that most people would regard as just as good. It’s a distinction that an experienced reporter could have drawn out with probing questions, but alas. Later in the semester, we tried it again, but with one significant tweak: I took myself almost out of the equation. Macon mayor Robert Reichert has ambitions of building a streetcar line, not unlike the one that nearby Atlanta recently launched. Following my lecture on vox populi interviews, I sent the students out to interview people along the proposed Macon line about whether any of them would ride a streetcar in the car-obsessed south. The students wrote their quotes up into articles that served as proof-of-concept assignments for my lectures on AP style and inverted pyramid format. Again, about a third of what they brought back was good stuff, but this time I kept the articles in my pocket until the end of the semester. When it came time for students to propose final projects, I suggested to a particularly promising student — freshman Sarah Pounds — that she might consider doing for the streetcar article what I did for the housing article. She got an interview with the mayor to round out her peers’ quotes, combed through all of their articles to find the best stuff, shot some art, and the resulting piece (“Streetcar possible for Second Street, but would residents use it?”) ran in the Sunday Telegraph, with Pounds taking the byline and the rest of the class listed as contributors. I did lots of editing along the way, but I’d call that a pretty big win all around. Both of these articles were conducive to the collective-reporting approach because they involved “vacuum cleaner” stages — elements of the reporting process that required mass interviewing. We could not have collectively reported the same celebrity profile, for instance, as there would have been no need to do the same interview 15 times. But vox pops aren’t the only vacuum cleaner stories out there. The same boots-on-the-ground can be put to work sifting through documents. I’m in the midst of planning a reporting project for a more advanced class in the spring about car-on-pedestrian accidents, in which each student will get a stack of police reports to investigate. I can’t imagine that more than 30 percent of what they get back will be terribly interesting, but with collective reporting, that’ll be more than enough. 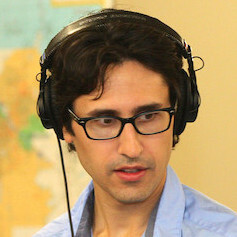 Adam Ragusea is a journalist-in-residence and visiting assistant professor at Mercer University’s Center for Collaborative Journalism. He previously worked in public radio. Photo of puzzle pieces by Kevin Dooley used under a Creative Commons license. POSTED Jan. 6, 2015, 10 a.m.
Ragusea, Adam. "What to do when a student journalist isn’t ready to produce for the public? Ask lots of them to." Nieman Journalism Lab. Nieman Foundation for Journalism at Harvard, 6 Jan. 2015. Web. 24 Apr. 2019. Ragusea, Adam. "What to do when a student journalist isn’t ready to produce for the public? Ask lots of them to." Nieman Journalism Lab. Last modified January 6, 2015. Accessed April 24, 2019. https://www.niemanlab.org/2015/01/what-to-do-when-a-student-journalism-isnt-ready-to-produce-for-the-public-ask-lots-of-them-to/.